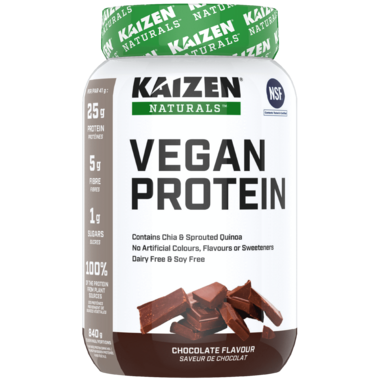 Kaizen All Natural Vegan Protein Powder is rich and delicious. This all natural plant-based protein is dairy, gluten and soy-free. I've tried a lot of vegan proteins, but I like the Kaizen one the best by far. It doesn't have the gritty texture that I find most of them do. I love the natural ingredients too. I prefer the vanilla flavour, but chocolate is also delicous. 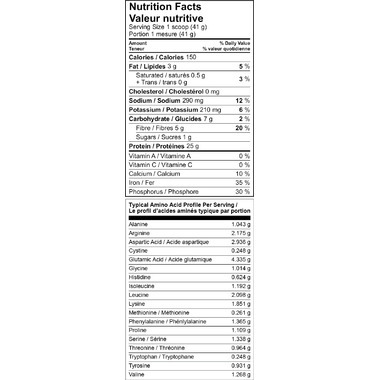 Great vegan protein, good flavour and not a lot of additives/sugar, high source of protein!